I visited the VCFB also this year. This time I don’t have much to write about it, instead this is just a placeholder to advertise I did manage to take a few pictures which you can see from the link below. This time the highlight would have been a presentation from Naomi Weizenbaum, daughter of Joseph Weizenbaum who has the creator of the Eliza psychotherapist program. Unfortunately she did not show up. 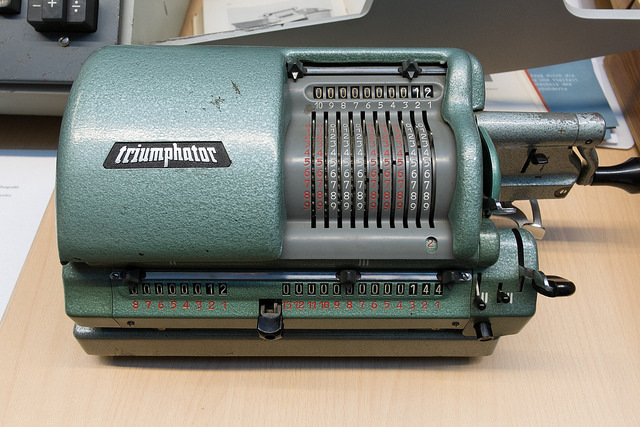 However I enjoyed once again the great selection of vintage computing, this time, as compared to the previous year, there were some interesting mechanical calculators on display – it was great seeing how the algorithm for division works mechanically.